While writing about kitsch may seem like a lot of monkey business, we take our blogging rather seriously. Well, maybe it would be more precise to say, “We are very ethical about our publishing of silly stuff.” ‘Cuz we are. No Payolla: As people who believe in both personal and ethical blogging, we absolutely do not participate in paid blog posts or any other sorts of payolla. Here’s some free advice for you payolla types: Buy an ad, arrange a link swap, pitch a story idea, or otherwise discuss an ethical & honest option for promoting your site, brand &/or product; it will help your business/brand immensely. Advertising: Kitschy Kitschy Coo uses — and highly recommends — Blogads, specialists in connecting advertisers with America’s social media elite. With Blogads, advertisers can schedule ads for future dates, track results, even edit ads during the ad campaign. 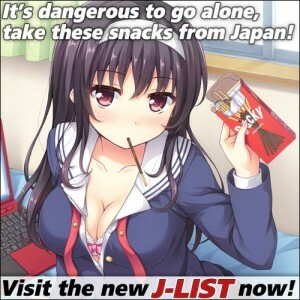 You can buy your ad here. Reviews: We do accept product for review, so long as the products are related to kitsch, pop culture, vintage collectibles, etc. When we accept review product we will provide our usual honest reviews — and we will disclose in any review in which the product was sent free for review purposes just who sent it. Affiliate Links: Kitschy Kitschy Coo uses affiliate programs, links which may result in earning a small fee &/or percentage of any sales obtained from readers who click on the links and make a purchase. These links do not raise the prices you pay, nor do they cost you anything for clicking them and looking. Please consider any fees earned as small tips — a way of thanking those who assist you in finding the specific items, products, &/or services you might be looking for. Thank you. Appraisals: We won’t appraise or provide monetary values for your antiques and collectibles; if you’re a new dealer, have an estate full of items to sell, or have found something cool in the attic and you want to know the price to sell it for, we recommend spending the time researching by visiting your local antique shops and searching past online sales for prices realized. Not everything published here belongs to the authors at Kitschy-Kitschy-Coo. If/when a work belongs to another, either legally or in terms of where it is found, we do our best to properly credit. (That’s just good old common sense in trying to help others find collectibles too!) Example: Photo by (copyright holder), found via (site name), linking to both as best we can. Errors, omissions, concerns regarding copyright and fair use should be sent to Deanna Dahlsad at Deanna.Pop.Tart@gmail.com. If you’d like to use an image, or quote a section of an article/post, at your own blog or website you have our permission to do so as long as you properly credit us including providing a link back to the original article/post. (See above notes on how we credit.) Feel free to let us know you’ve done so with a ping, comment, or email! If you’d like to republish an article in its entirety at your blog or website, please contact Deanna at Deanna.Pop.tart@gmail.com. If you’d like to use any of the content at Kitschy Kitsch Coo in your print publication, please contact Deanna at Deanna.Pop.tart@gmail.com. 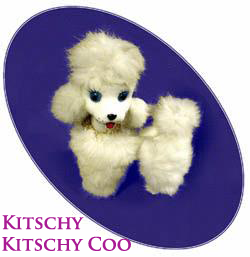 Like many other Web sites, Kitschy-Kitschy-Coo.com makes use of log files. The information collected is used for internal review to improve the site in terms of content and visitor experience. The information inside the log files includes internet protocol ( IP ) addresses, type of browser, Internet Service Provider ( ISP ), date/time stamp, referring/exit pages, and number of clicks to analyze trends, administer the site, track user’s movement around the site, and gather demographic information. IP addresses, and other such information are not linked to any information that is personally identifiable.
.:: Google’s use of the DART cookie enables it to serve ads to users based on their visit to Kitschy-Kitschy-Coo.com and other sites on the Internet. Hello, I am long-time seamstress/costumer and over time have accumulated any number of sewing related things in various categories. Re-evaluating leads to reducing what takes up my space. I have 2 copies of Virginia Larkin’s ‘Petite Bazaar Knitting Book. black cover lettering 1963 Loveland, Colorado. Do you ever buy the booklets I have?